It Does More Than Just "Smell Good"
Aromatherapy is a great, natural compliment or alternative to other health treatment options such as certain prescribed medications. But don’t throw away those prescription bottles just yet. As scents are inhaled, the smell travels across the olfactory nerves located inside the nose and then up into the part of the brain that controls our moods, our memories and our ability to learn. This area is called the Limbic System and when stimulated it releases endorphins, neurotransmitters and other 'feel-good' chemicals. Aromatherapy also works by absorbing essential oils into the skin and blood stream. One of the advantages to topical application of diluted essential oils is that they can go directly to the spot where you need them the most. An aromatherapy massage is a great way to reap the benefits of topical application of essential oils along with the soothing therapeutic benefits of massage. If you have an aching muscle or a nasty bruise, a little essential oil goes a long way to working it’s healing magic! Mountain Rose Herbs sells a variety of essential oils and other aromatherapy products. I highly recommend them for your essential oil needs. If you're interested in pre-blended oils, Shop Puzhen.com offers some delightful blends you're sure to enjoy! Why not treat yourself! In addition to other alternative health benefits, many wellness retreats and spas offer massage therapy with essential oils. Interested in learning more about the benefits of aromatherapy? 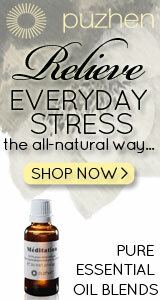 Check out aromatherapy benefits clinical studies here.